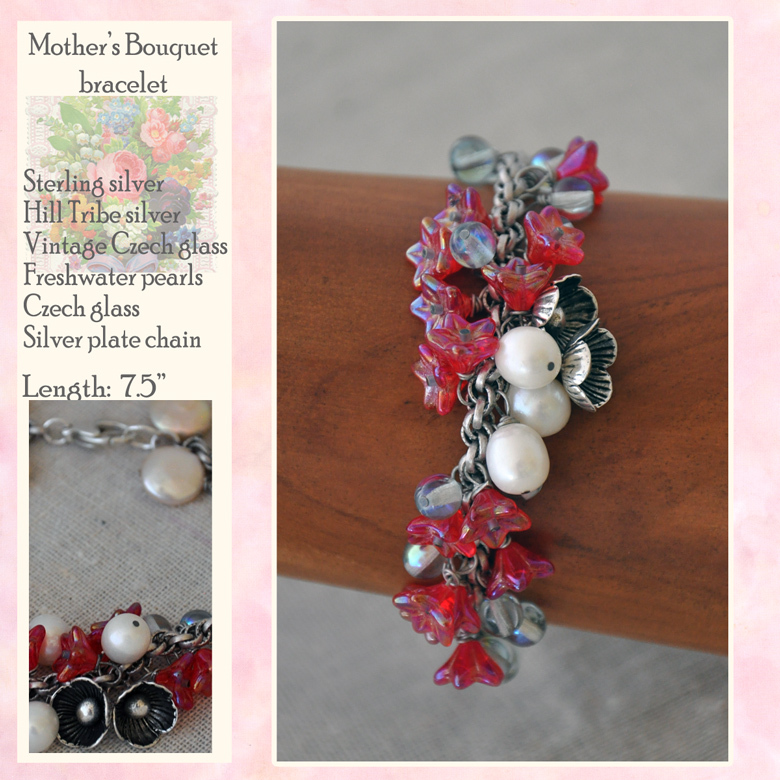 Vintage Czech pressed glass flowers in bold red are the feature in this loving tribute to moms with blooms that will never wither or fade. 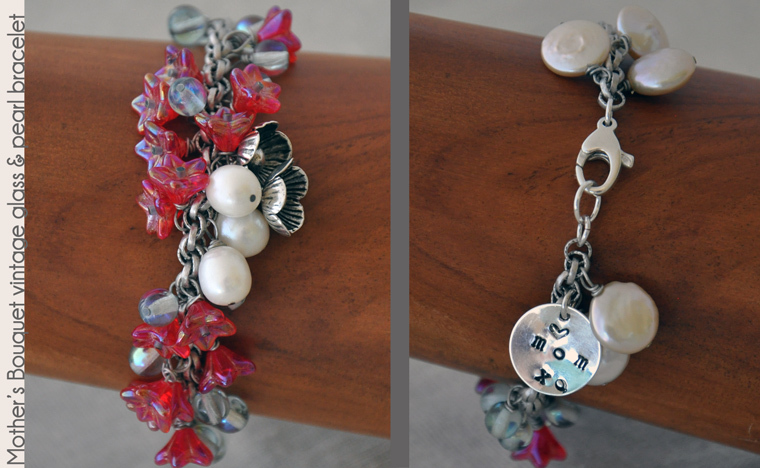 Charming Hill Tribe silver blossoms and luminous freshwater pearls add contrast, and a stamped silver plate brass tag shares our sentiment to mom: love, hugs and kisses. Large sterling silver lobster claw clasp is easier to open. 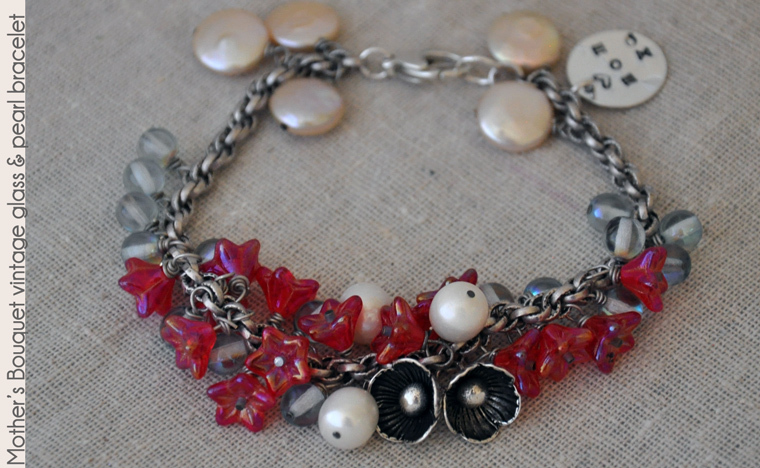 Length: bracelet - 7 1/2"
Although the drops and chain are strong and robust to toddler tugs and pulls, the size and shape of the pearls are obvious choke hazards for little ones. As with all beaded jewelry: do not let young toddlers chew on it. 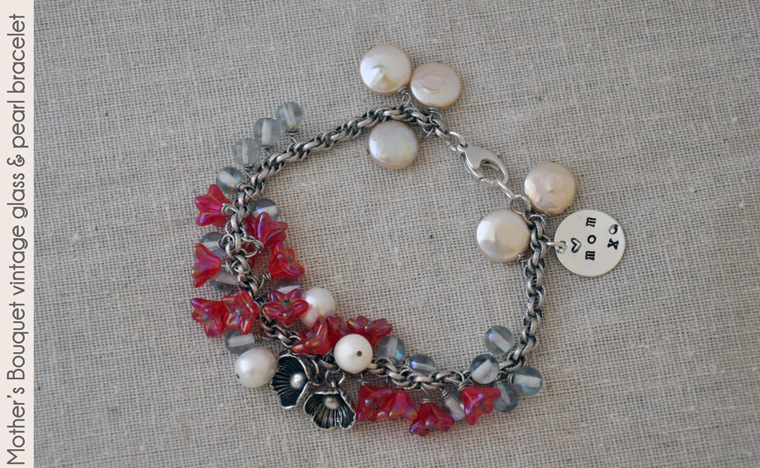 This 7.5" bracelet is chunky and best worn with shorter sleeves and shirts without cuffs.